Dr Frederick Banting had two passions: medical research and painting. In 1923, he won the Nobel Prize for his co-discovery of insulin. But he also counted among his friends the Group of Seven artists Lawren Harris and A.Y. Jackson, with whom he travelled widely, painting the Canadian wilderness. 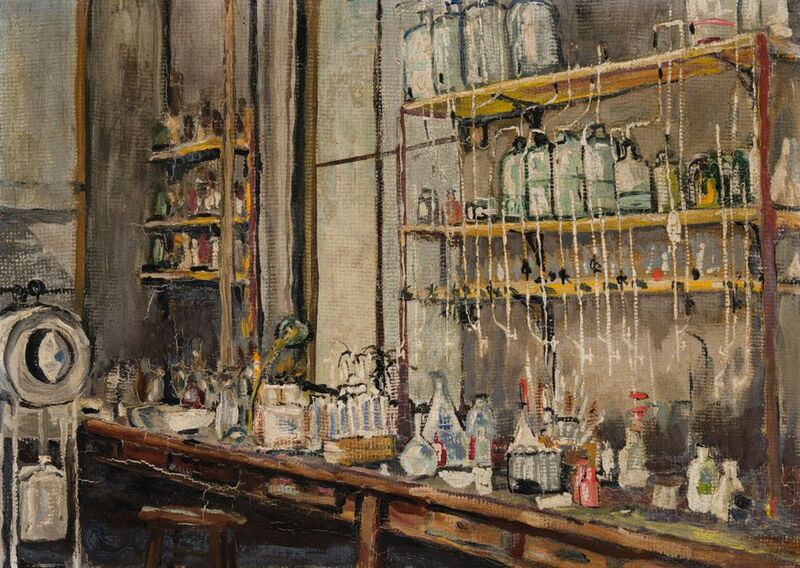 Banting merged his two interests in a work coming to auction, which depicts the very room at the University of Toronto where he and assistant Charles Best made their medical breakthrough. David Heffel, the president of Heffel auction house in Toronto, called Banting’s oil on board painting The Lab (1925) “a piece of history”. It goes on the block at in Toronto on 21 November with a pre-sale estimate of only C$20,000 to C$30,000 ($15,000-$22,000), but the auction house’s vice-president Robert Heffel says the appraisal is “on the conservative side”, and that “due to the immense publicity and collector interest, we expect that it will do better than we had originally anticipated”. Another work by Banting, Rooftops, Quebec City, sold at Heffel’s fall 2008 sale for C$76,050. Banting planned to take up art full-time later in his life, but was killed in a plane crash in 1941, on his way to a mission in England during the Second World War. Fittingly, the auction house will donate the buyer’s premium for The Lab to the Banting and Best Diabetes Centre at the University of Toronto. The top lot of Heffel’s fall sale, which is estimated to make C$15m to C$20 overall, is Jean-Paul Riopelle’s 1953 oil Jouet, with a high estimate of C$1.6m. Among the other 135 works on offer is Arthur Lismer’s Tugs and Troop Carrier, estimated at C$700,000 to C$900,000), which harks back to the First World War, and a pair of works by Alex Colville, Two Boys Playing and Chaplain, which together are expected to made nearly C$1m.